Once you complete the Initiation quest to start off Pauper, you may be a bit confused on where to start. We've always had a rather tough learning curve, but once players get passed the start of the game, they always seem to love it. This guide will help instruct you how to move forward beyond the starting point of Pauper, and hopefully smooth out your gameplay. Remember, you should have already finished the Initiation quest before viewing this guide, we are not covering that here. If you have yet to complete the starting quest, please return back to us once you've gone and finished it! Now, let's continue by heading to our Table of Contents below! This category will act as the basic FAQ for Pauper. We will recognize many frequent questions we hear from newcomers in this section of the guide. We hope that it helps you out, and could potentially scale down the amount of questions new players have. This category of the guide will continually be updated as we receive more frequent questions. Here, we will show combat users how to obtain some gear. In this category, we'll be covering all the basics for each class in the server. Melee users, range users, and magic users - they'll all receive their attention. We understand that sometimes this server isn't very explanatory, so it may be tricky at first to figure out where all the gear is. Which is exactly why I'm writing this guide today. This section will capitalize on profiting off early level skills. We'll use the 50k gold starting kit to earn profits off your skills at a decent pace. We'll be sure to add quite a few methods here, to widen the variety; and to also help you earn money off skills you're just now starting to level. For every skill in Pauper - if you can't make money off it, you can at least level it for free. This is where we'll focus on how you'll make money with more "end-game" levels. Once you've really got your foot in the door to Pauper, you can start making good money at a great speed. In many different ways, too. Skillers can make a ton of money here, PvM is possibly our biggest cash-grabber, and we can never forget about the wilderness. With a heavy wilderness influence, you can always rely on somebody needing to go head out there. Great question! Please scroll down to the later sections of The Beginner's Guide to find the answer to that one. There are far too many ways to put into one answer! Remember the Grand Exchange feature when you were doing the Initiation quest? That's the shops! 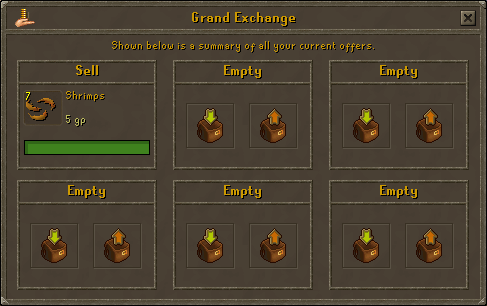 You can buy many items instantly using our Grand Exchange. Anything under 250,000gp is available to buy at an unlimited rate! Unless, of course, the item is on the limited list. Which means you need two players to buy/sell any item on the limited item list. You can find many specified teleports using the portal found outside Edgeville bank. This portal will teleport you directly to many bosses, minigames, training locations, and more. However, using the portal is a taxed feature here in Pauper, so be sure to keep an eye on your money before teleporting. Although, there are free ways back to Edgeville, and most locations in the portal have ways of making you more money than you spent to get there. The fairy ring will take you to many different locations, and sometimes is the only way to access certain pieces of content, such as Polypore Dungeon and Glacors. The fairy ring is a very important piece of content on Pauper, and I'm sure you'll find yourself using it more often than you'd expect. If you need to know the codes to any locations, just check the RSWiki! 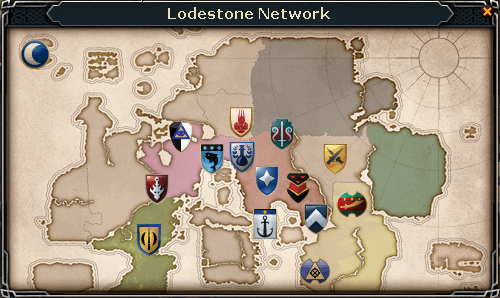 The Lodestone Network will take you to many different cities across the world. Best of all, it's completely free! The only thing you have to spend on the Network is your time, waiting for the animations to finally end. This is also quite an important and very useful piece of content on Pauper, as you need to leave Edgeville quite often, and sometimes the Lodestones can be a huge shortcut! Games necklace, ring of dueling, amulet of glory, and so on. These items will come in handy quite often when you need to traverse the world. In many cases, you'll find these items are even quicker to your destination than even the portal at Edgeville. Pauper Points are a form of currency in the server. You can use them for a lot of different things such as purchasing titles, buying chaotic weaponry, leveling your dungeoneering level, and so-on. You can obtain these points by killing monsters located in the wilderness, slaying bosses, or completing quests. Pauper Points can be extremely valuable, as you'll discover that you'll use them for quite a lot of things. How do I level dungeoneering? Unfortunately, as of now, the actual dungeoneering skill is not available. However, you can still level it by spending Pauper Points at Daemonheim. By opening up the Pauper Point Shop at the entrance of the teleport, you can find dungeoneering experience available for purchase down at the very bottom. And yes, everything in that shop is available for purchase. How do I level farming? Since farming is not yet readily available to the public, we've simply added farming experience to the herblore skill. As of now, you receive 1/3 of your herblore experience as farming experience. However, your farming experience is not taken away from any herblore experience you may have received. You still receive 100%. This is no longer the option for the farming skill. You level it as you would in RuneScape. Currently (at the time of this edit), every allotment, herb, flower, tree, and bush patch work as well as their corresponding seeds. How do I level construction? Planks! Lots and lots of planks. For now, player owned houses are only in store for a future update. So, to train your construction level, you can make planks. Simply use a saw on some logs in your inventory and watch the magic happen. Plank construction is a taxed feature in Pauper, and only two kinds of logs can make you money in this skill. So be careful in how much you're trying to spend! Early melee and range gear can be found through the Grand Exchange. 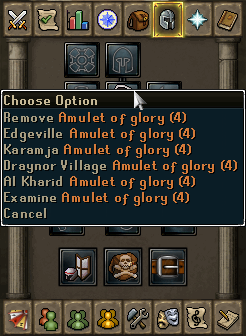 This can sell the player runite armor and green d'hide. Fortunately for the player, green dragonhide is very cheap in comparison to rune. 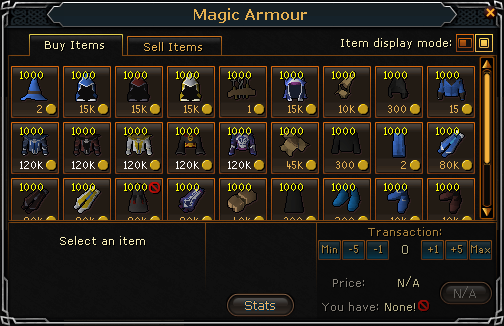 Rune armor can be sold for over 65,000 gold for some pieces, whereas green dragonhide will sell for under 10,000. Our friend standing inside Edgeville bank actually has a shop that sells magic gear. Yes, the tanner sells magic equipment. He actually sells quite the variety of magic gear. What he doesn't sell, however, are the runes to cast spells. Fortunately for you, most runes sell in the Grand Exchange. All besides nature runes, astral runes, and soul runes. The rest are unlimited. 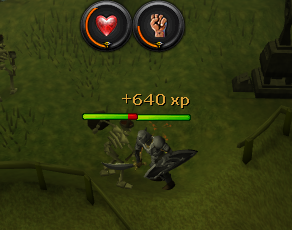 You can find skeletons at the training teleports option in the portal at home. This method is suggested because the skeletons in this location will drop big bones as well as regular bones. These bones can be sold to the Grand Exchange for 1,900gp each. It's not the biggest way of making money, which is why it's suggested for the lower leveled players. 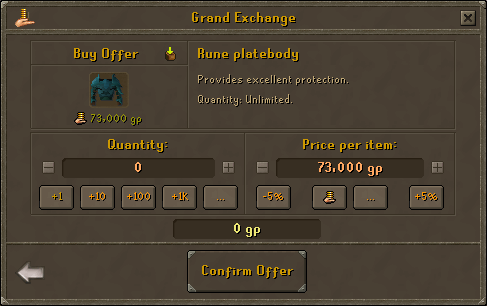 However, 28 big bones will sell to the Grand Exchange for 53,200gp - which is a pretty nice profit! Remember - these are the workers, not the drones. The drones can hardly make you any money, but the workers actually have some pretty decent drops. You have a decent rate at receiving drops like dragon helms, some fairly expensive runes, decent grimy herbs, ores, gold, uncut gems, and so on. Picking up a full inventory of drops can have you walking away with over 200,000gp from one trip! 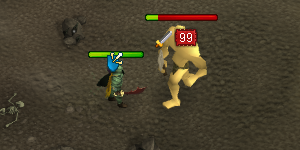 We recommend a combat level of at least 50 due to the workers actually being able to deal damage to the player. Even through rune gear. Slayer can potentially make the player some huge money. Especially during towards end-game tasks, the player can start making millions in a single drop! Regardless, during the earlier stages of this skill, that will not be the case. 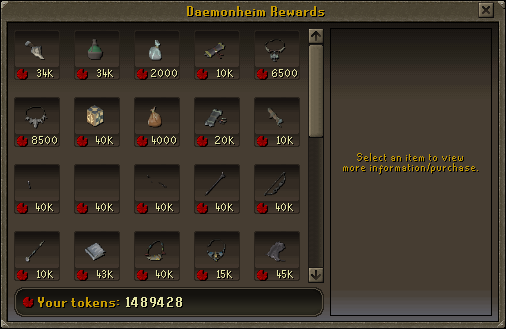 You'll still make decent money off your slayer tasks, as slayer monsters tend to drop more unique and expensive items than average monsters. Especially if you get a slayer task located in the wilderness. We recommend starting slayer when you're at least combat level 45, as a starter task is commonly ice warriors or ice giants, which are around this level. This is a nice one simply because the rewards to this quest differ based on the starter package you chose during the Initiation quest. As a mage, you will be rewarded with a mystic mud staff and a random colored mystic robe set. As an archer, you will be rewarded with 200 mithril arrows and a magic comp bow. As a knight, you will be rewarded with a mithril scimitar & kiteshield and a dragon scimitar. 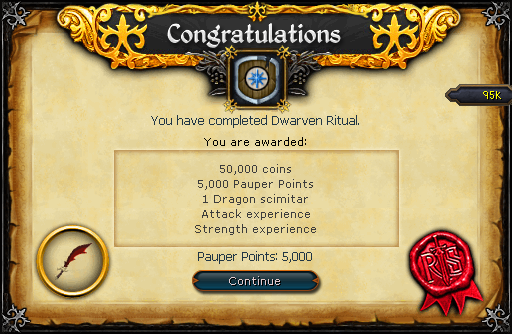 Everyone will receive 50,000gp for completing the quest, as well as some experience points for their designated class. This one's on the list because of the casket drops. Yes, every monster has the chance to drop caskets. However, the rate in which the caskets are dropped is heavily influenced by the NPCs combat level. 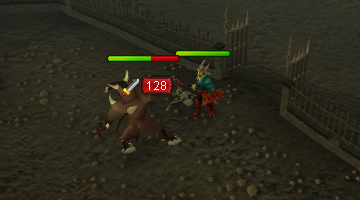 Lesser demons have a decent combat level for decent casket rates. On top of this, they're one of the few NPCs in Pauper that have a bonus casket rate, so they can drop quite often. Hill giants are located in the wilderness teleports at the portal in Edgeville. The reason they're on this list is because, believe it or not, they actually drop some rune pieces! Lower leveled players will be able to farm for some rune items such as the scimitar, full helm, platelegs, and longsword. They also drop some uncut gems, which makes them a pretty decent money source as well. Killing green dragons will get you the rune pieces that hill giants don't drop. They also have the chance at dropping a dragon spear, which is able to be sold at an unlimited rate via Grand Exchange. You can also sell their noted dragonhide, which is a pretty decent cash grabber. As stated before, this monster is one of the few with an increased casket drop rate. Caskets will commonly reward the player with low to mid-tier equipment, but you can also receive some pretty great loot from them. 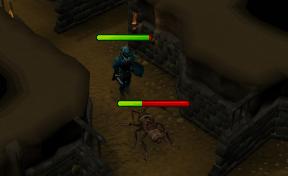 Hunting caskets from lesser demons seems to be a pretty great way of kick-starting your 70+ combat level. Be careful out there if you decide to utilize this method; the reborn force is located in multi-combat wilderness, so you're not going to be very safe. However, these guys like to drop rune and dragon gear, blue-red dragonhide, and lots of runes and magic equipment. There are three different styles of reborn attackers there, and they're all three different classes. There's melee, range, and magic - they all drop gear according to their class. This guide is incomplete. I will be back to finish it soon. Wow Gemu this is a very impressive guide! I'm very sure it'll help new players out c: Can't wait until it's finished! The guide has been finished! A few details that are not accurate will be edited later. For now, however, will be manipulated to be more proper in the long run. The beginner's guide has been temporarily removed for total reconstruction. After the flurry of ease-updates, it rendered the old guide prehistoric and not very accurate. I will be working hard and quickly to restore the guide, continuing to provide correct and meticulous information for any newcomers. I apologize for any inconvenience this may cause readers and potential players. The guide is now roughly 45% complete. I'll be back to finish it soon! Great Guide. Thanks for posting. Well detailed.